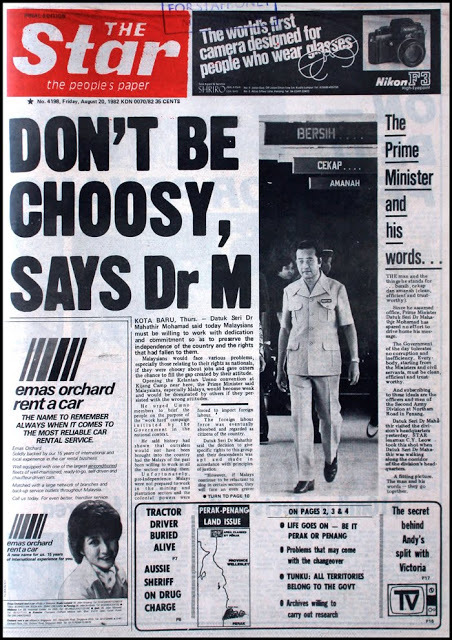 Malaysia's leading English diary newspaper The Star was born on 9 September 1971. From day one, Mr K.S.Choong, the founder decided that a bikini clad "Beach Girl" will grace Page3. Doreen Quah was the FIRST Page 3 girl of The Star, picture was taken by Chiang Siak Weng. I remember fondly that I went to a lot of these "Beach Girl Job", usually the News Editor; Charles Chan will assign a cub reporter to tag along for "job experience". Out of the blue I received this Gmail from Mary ****, Portland, USA. Mary even got my Gmail name with one dot too many! Yeah, but Gmail is clever, it decided the mail was for me! I was impressed by your photographic work in your blog, "The Man Behind the Lens: Freeze That Decisive Moment". Your work covers a great span of Malaysian history and you showed great persistence and loyalty in returning to the Star three times. 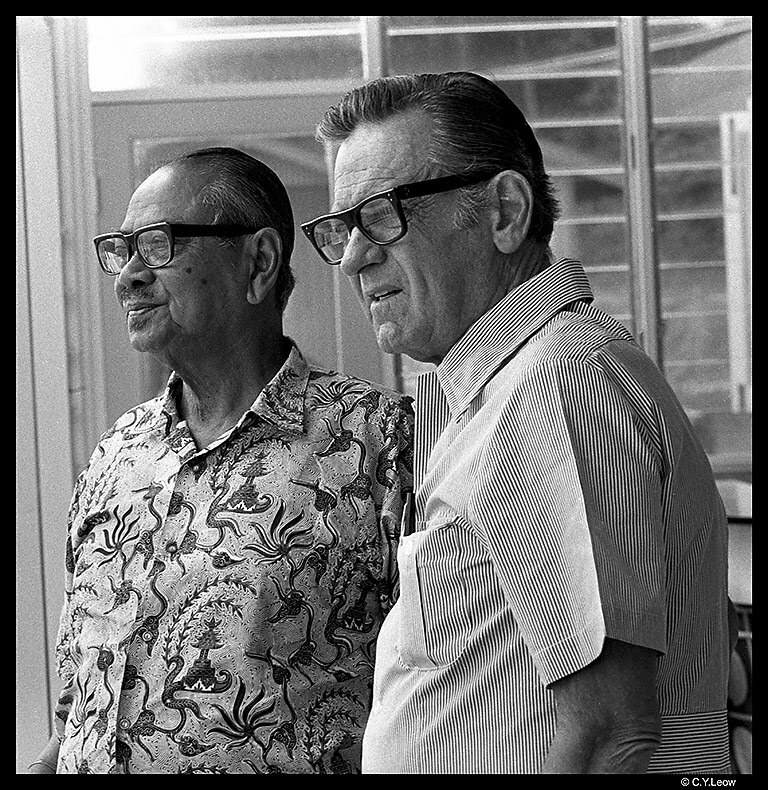 Among the photos, I am particularly interested in the one between Tunku Abdul Rahman and William Holden in Penang. Based on what you said, these photos were taken during the '70's. Do you have an exact date? Were they connected with any newspaper articles? Have you made any copies or have sold any? I am interested in them for both a personal and historical level. My grandfather spent quite some time traveling and working in Southeast Asia especially Malaysia. Any insights you may have would be much appreciated and would be well recognized. Thank you again for your time and consideration. 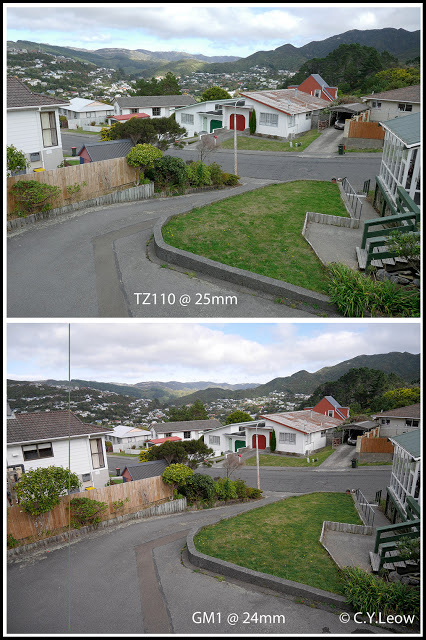 Lumix TZ220 Lens Hack for a 18mm Ultra-Wide! I was happy to find out that the new Lumix TZ220 come with a 24 to 360 Eq zoom lens, one mm WIDER than the TZ110 it replaced. In the TZ110 review, I lamented that ONE mm less at the wide end result in significant loss in coverage. Take a look at the picture below. To prove to myself the TZ220 indeed came with a WIDER 24mm Eq lens, I took shots of the same scene with the TZ220 at 24mm setting to compare with a shot taken with a 12-32 kit lens, at 12mm setting. 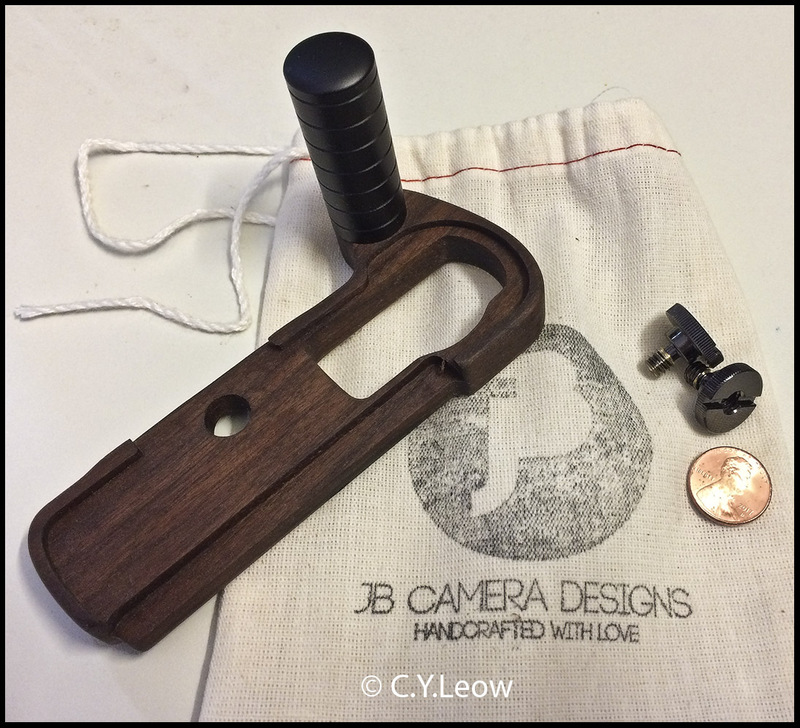 (12mm is 24mm Eq). Both files were JPEG, straight from the cameras. 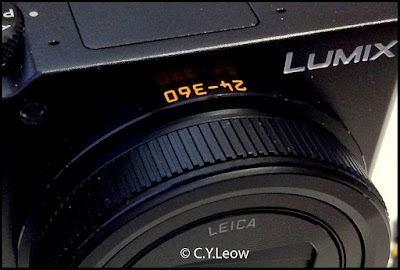 Lumix DMC-TZ220, Another Ideal Travel Camera? PANASONIC has been producing their TZ (TRAVEL ZOOM) compact camera range for nearly 12 years, their latest offering is the LUMIX TZ220. By squeezing a large 1-inch 20.1MP sensor and a 24-360mm zoom lens into a pocket-sized body, I can see that Panasonic has no competition in this range! 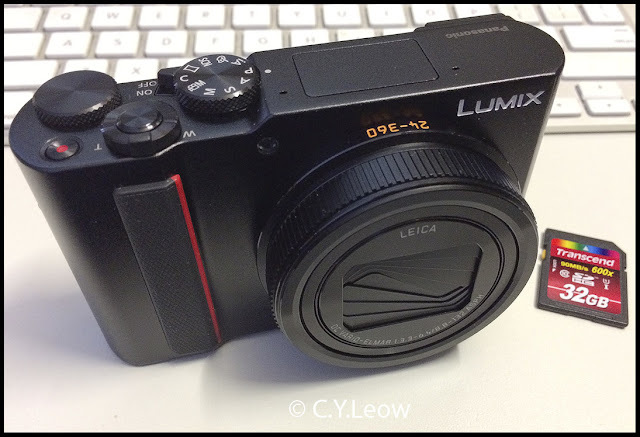 The TZ220 is also known as Lumix TZ200 / ZS200 in other country. Dr.M is at it again! He is back!! On Thursday, 10 of May he has been sworn in as Prime Minister of Malaysia the SECOND time after his shock election victory, 15 years after he stood down! During my career with The Star, Dr. M and Moi cross path many time.. I remember fondly that I was given a scolding by him when I try to snap a picture of him having his lunch in Alor Setar. The excitement when one crazy guy try to attack him in Kedah and was subdued by his body guards. But my most memorable moment with the oldest Prim Minister in the world was on Thursday August 19, 1982. I was a young Photo Editor for The Star, waiting patiently for Dr M to come out from his meeting at the Second Army Division at Northam Road in Penang. Standing beside me were photographers from other "larger" papers, Star was "nothing" to New Straits Time, Malay Mail, Straits Echo, Nanyang, Sin Chew and even Sin Pin and Kwong Wah Yit Poh! Alas on that fateful day, the other photographers did not notice the Dr M's trademark slogan "Bersih... Cekap... Amanah" (Clean... Efficient... Trustworthy) that were hanging along the corridor! I knew the shot I wanted and I chooses my lens for the best perspective to bring Dr M and his slogan together. The rest, like they said; is history. This was the front page of the Penang edition of The Star, the next day. I love my Panasonic Lumix GX85, it is not too small like the GM1 and not too big like the GX8. The GX85 is perfectly balance and comfortable to hold with most of the compact M43 lenses, it gets a bit front heavy when you start using heavy or long lenses on this "thin" body. Unlike the GX7 it replaced (the GX85 is GX7 Mk2 in Japan), the "front grip" on the GX85 is not thick enough to stabilise a long or heavy lens, this is when I decided to get an external grip. 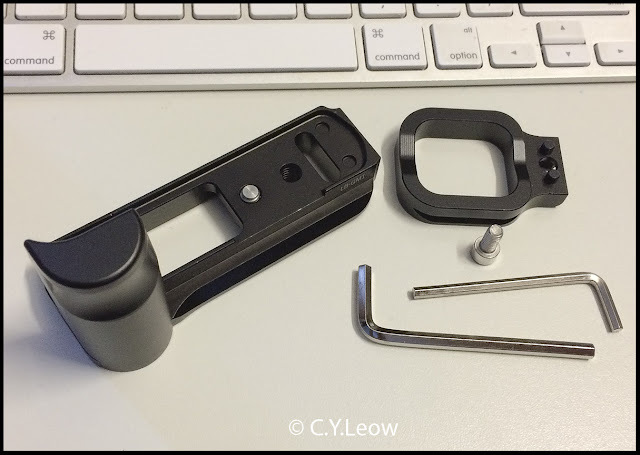 After much searches, I am shocked that there are less than a handful grips for the GX85, most of them are NOT grips per sec but thumb rests EXCEPT ONE!